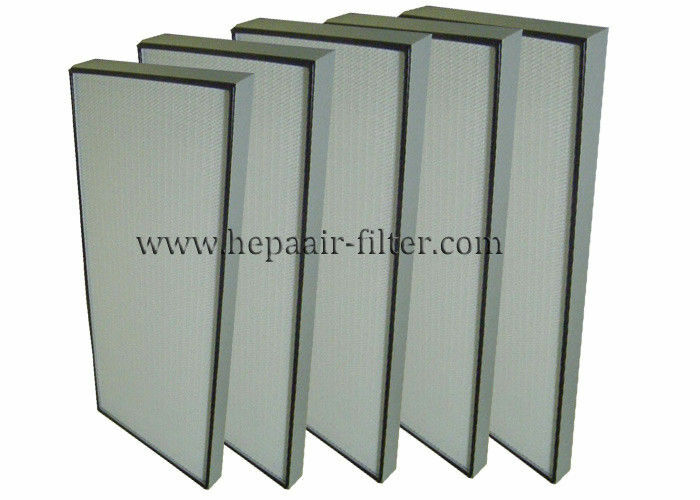 H13 Efficiency Of Mini-pleat Washable HEPA Air Filters Applied For FFU is compact design. 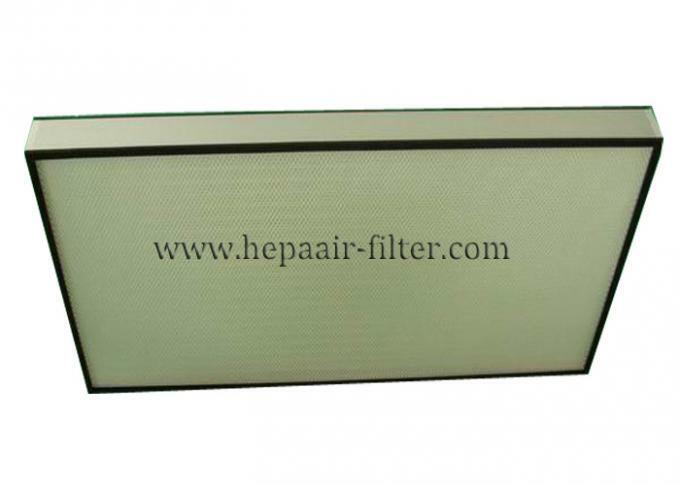 In case of similar installation sectional module, it has larger filtering area, higher air flow and lower air brag. The filtering rate against MPPS(Most Penetrating Particle Size, of 0.1um-0.3um diameter) is higher than99.5%. It is normally used as the end filter installed in the ceiling of the cleaning rooms or at the higher efficient air outlet.